We just pushed a small update to the server. As usual, most changes are under the hood. There is now a basic filter option for the stats-view. Also, we have started to include snippets in the combined feeds we provide. As usual, there are many easter eggs of upcoming features, so check out our code on github. This will be the last small update for a while — there’s a big one coming! We’re redesigning the page completely, hoping to both simplify and enhance the visits to mathblogging.org. Finally, we changed the contact page here on the blog — you can now submit new blogs in an easy web form helping us to get those database updates out faster! We just updated the server with the second part of our three part update. This part of the update consists of only one part: PlanetTAG! If you follow us on twitter, you might already have found this Easter egg (and noticed it was a little slow). After some more tweaking we’re ready to release a tag cloud. Now you can view the tags most popular across all blogs. But, you say, a tag cloud has to be more than just pretty! We got you covered: we combined the tag cloud with the idea of PlanetMO to create PlanetTAG. Click on a tag in the cloud and you get the 50 most recent posts with that tag in any blog in our database. There’s one caveat though. We cannot give you more than we get — the tag cloud will only be useful if bloggers use tags well. In fact, we had to manually removed the tag “Uncategorized” since it would be dominant otherwise. 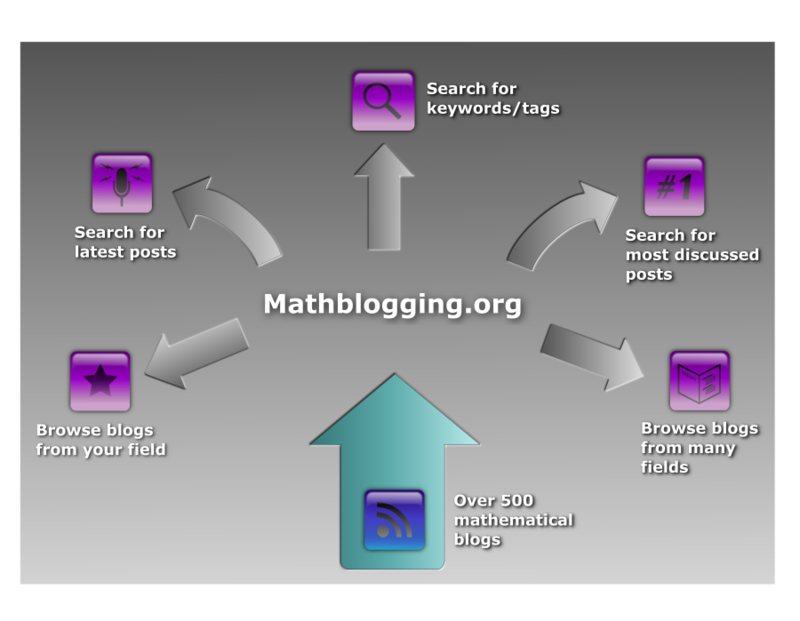 In any case, we hope this will be a useful tool for you while exploring the richness of mathematical blogs! You are currently browsing the update category at Mathblogging.org -- the Blog.